Today is the 400th anniversary of the wedding of Elizabeth Stuart to Frederick V, Count Palatine of the Rhine. 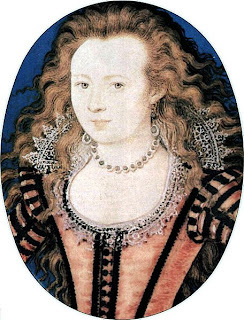 Elizabeth was the eldest daughter of James VI of Scotland, who of course went on to become James I of England. 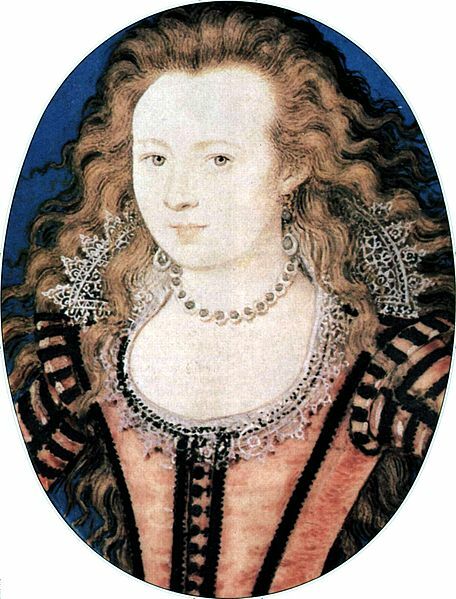 Her father was of course keen to marry her off to create the best possible political advantage, and eventually settled on Frederick as he was the leader of a group of Protestant rulers in Germany, despite being only 16 years old (as was Elizabeth - who would have had the portrait above painted at around this time). After their first tricky meeting Elizabeth and Frederick found that they were genuinely attracted to each other, and got to know each other better by watching 6 of Shakespeare's plays. The wedding was a happy (and extravagant!) affair, complete with fireworks, dances and a mock sea battle (which got rather out of hand leading to several injuries amongst the sailors...). Elizabeth had 13 bridesmaids and John Donne wrote a special Valentine's Day poem for them. Elizabeth then moved to Heidelberg with her husband and they had 13 children together. In 1619 the couple became king and queen of Bohemia but shortly afterwards they were thrown out and fled to Holland. Elizabeth remained fully engaged in European politics, keen to support Protestants under threat across the continent. She returned to England with her brother, Charles II, in time to see him restored to the throne before her death in 1662. Elizabeth is particularly important because the royal line continued through her after Charles II died without any (legitimate) heirs. Her grandson was George I, who would establish the House of Hannover on the throne. You can read more about Elizabeth in the most recent edition of History Today, as well as here (Wikipedia), and also here for more information about her extensive correspondence. Elizabeth also appears in this slightly eccentric blog article about other "Queens of Hearts". Here are two interesting articles from History Today, on Papal resignations, and the "real" St Valentine. 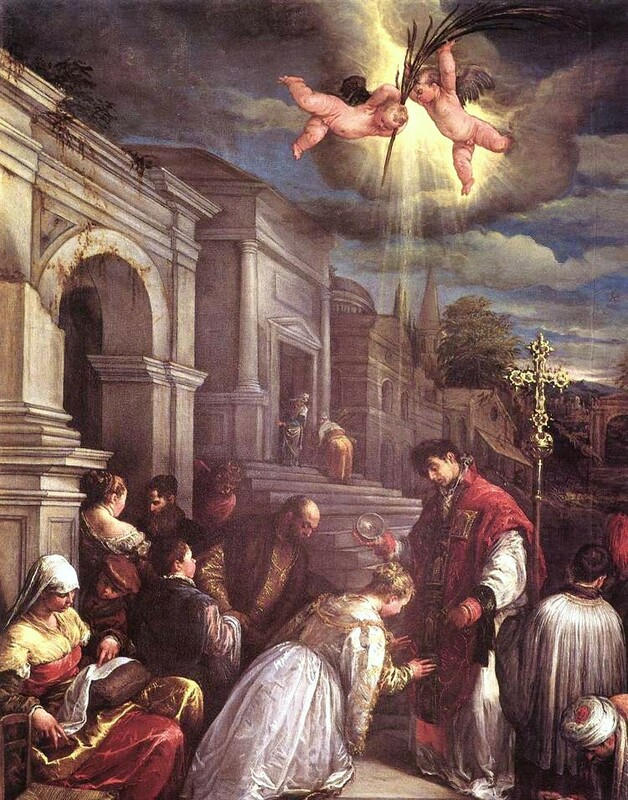 St Valentine was a Roman priest who blessed illegal Christian marriages and was beaten to death in 269 AD on the orders of Emperor Claudius II in AD 269, supposedly on 14 February. Here is the powerpoint that was shared at the Belgium Battlefields Trip Information Evening on 11 February. If you have any further questions please contact the Nonsuch History Department. You can also download the powerpoint here using this link. Please let us know if you are having any problems accessing this. GCSE Year 10 classes may find this poster of use for their source analysis. It says (in Russian) "Wrangel hits again, finish him off without mercy." 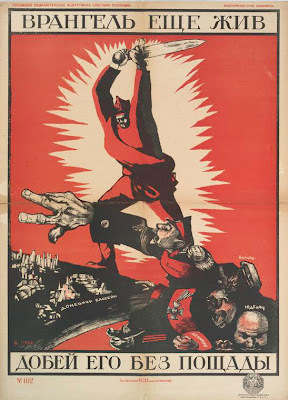 You can find the poster and lots of other ones at this excellent blog which looks at the history of graphic design. There has been some debate between academics over the value of the find. Neville Morley from Bristol University argues that Richard's celebrity has overshadowed research by others into more "ordinary" people from the time and Caroline Fletcher from Sheffield University questions the decision to announce the discovery through a press conference and television programme rather than more rigourous academic channels. 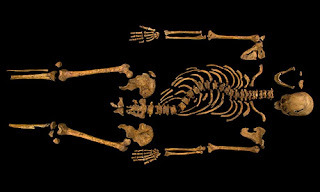 Here Paul Lay from History Today discusses how the find will affect Richard's reputation and considers why he has been able to inspire such dedicated supporters such as the Richard III Society. Richard III's face has been reconstructed based on the skeletal remains. You can read more about it here and see a video here. Here is some discussion about how Richard might have acquired his injuries at the Battle of Bosworth. Here is an article on whether Richard was responsible for the deaths of the Princes in the Tower and whether there are any other suspects. Meanwhile this article suggests that the bodies in Westminster Abbey believed to be the princes will not be re-examined in the light of Richard's discovery. And finally...here are some of the many Richard III jokes currently doing the rounds on Twitter. 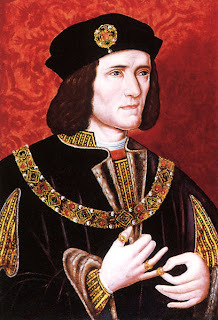 Our favourite is "Richard III officially announced 1485 Hide and Seek Champion". There are many more! It has been announced this morning that the body found in a car park in Leicester last year is indeed that of Richard III. In a fascinating conference, the team from the University of Leicester put together the evidence that pointed towards the body's royal origins. This included careful analysis of the skeleton, which included several severe wounds to the skull suggesting damage in battle and also a curvature of the spine - in other words Richard did indeed have a hunched back. They also demonstrated how they had compared DNA from the body to a known relative of Richard's royal line, and found a very close match. You can read more about this on the university's website here, which is full of fascinating articles and videos about the process that led to the skeleton's confirmation. 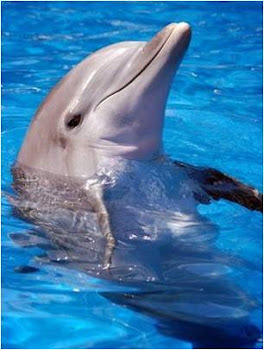 There will also be a documentary about it on Channel 4 tonight at 9pm. More info here. PS: Here are two articles which are slightly more cautious about the news. Catherine Fletcher from the University of Sheffield and Greg Jenner, consulant for "Horrible Histories" both try to put the discovery within its historical context. Recommended for UCAS statements!